A predominately cream limestone with golden hues featuring small veins and fossil detail. A softly brushed finished adds warmth to the stone. Suitable for walls: Yes, with the exception of the 500 x FL x 15 size. Please check with your tiler for suitability. A beautiful cream stone, with warming gold tones throughout, the Light Jerusalem Brushed Limestone is packed full of pretty shell and fossil features, with soft grey and light pink veining adding further subtle detail. The tiles have a slight texture to the surface, due to the brushed finish and a bevelled edge to add further interest. 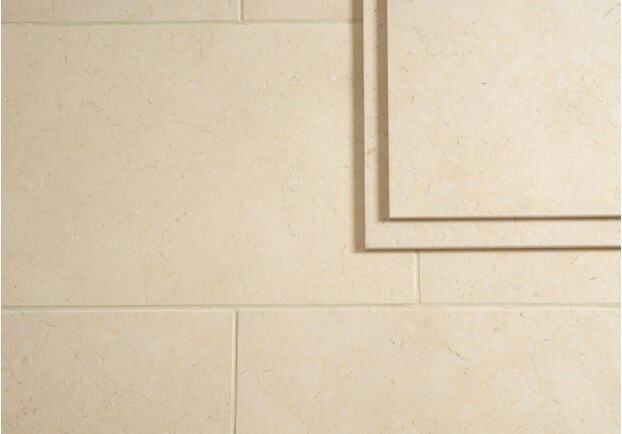 A neutral coloured stone, it would sit well in any kitchen, conservatory or bathroom.